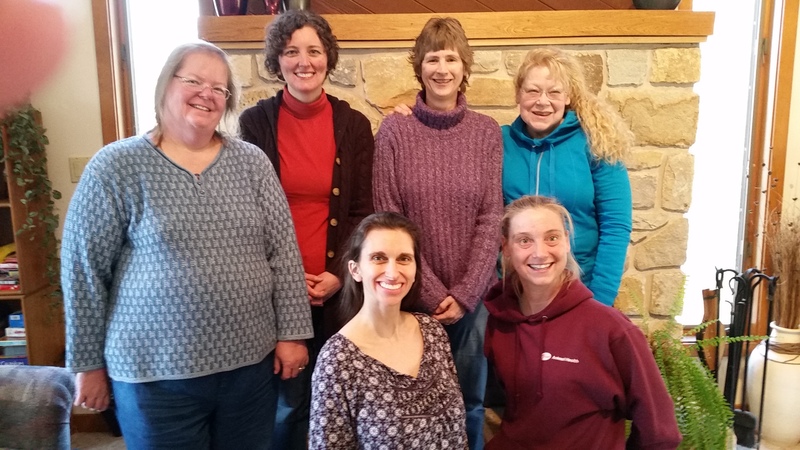 On Saturday, February 27th, at Lisa Betz’s house in Morgantown, six members and one guest participated in what we called the Winter Writer’s Retreat. Look under the Writer’s Retreat tab for more information on how to hold one in your area. The day included devotions, prayer, creative writing exercises, brainstorming, and critiquing. We had lunch together and also had time to work on our WIPs. We decided to do this more often. Another retreat is being planned for May with more actual writing time included to work on our WIPs. Members present: Kelly Barr, Lisa Betz, Alison McClennan, Robin Archibald, Laura Zimmerman, and Donna Smith. Our guest was Amy from Lancaster Christian Writers.